Space engines may soon become way more resourceful: An Australian PhD student has said to have surpass NASA’s fuel effectiveness record and created a new kind of ion space drive that can use a range of metals, even those which can be found in space junk, as a fuel. PhD student of University of Sydney in Physics, Paddy Neumann, has developed a “new type of ion space drive” that outdoes NASA’s in fuel efficiency, according to student newspaper Honi Soit. Even though Neumann’s technology is not that effective in acceleration, it could potentially be used for the moving of cargo over quite long distances in space. The study, which is yet to be issued in a peer-reviewed magazine, so far has been presented as a record breaking development. According to the newspaper “The present record, made by NASA’s HiPEP system, permits 9600 (+/- 200) seconds of specific impulse. 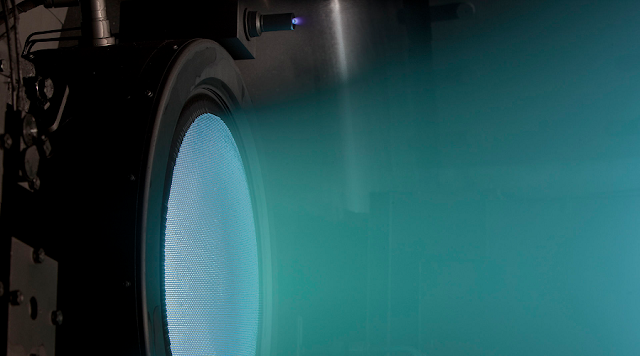 However, results recorded by the Neumann Drive have been as high as 14,690 (+/- 2000), with even conservative results performing well above NASA’s best.” NASA’s variation of the ion thruster (High Power Electric Propulsion, or HiPEP) was tested in 2003 and was proposed to be used on a mission of Jupiter Icy Moons Orbiter that was aborted in 2005. The idea behind HiPEP is way simple: The gas xenon is provided an electrical charge or ionized. It is at that time electrically accelerated to a speed of about 30 km/second. When xenon ions are discharged at high speed, for instance, as exhaust from a rocket, they drive the rocket in the opposite direction. The eventual speed a spaceship can reach by means of ion thrust depends upon how much propellant it moves. Neumann’s variation of the engine nonetheless uses metal as fuel, which is hit by electric arcs to yield ions that are absorbed by a magnetic nozzle. While magnesium apparently displayed the best results, Neumann’s drive can use a number of various metals, giving the drive a reasonable advantage over similar machineries in terms of cost savings. Neumann is now seeking to patent the machinery he has created with Professors David McKenzie and Marcela Bilek. The group is projected to present their study at the 15th Australian Space Research Conference late this month.